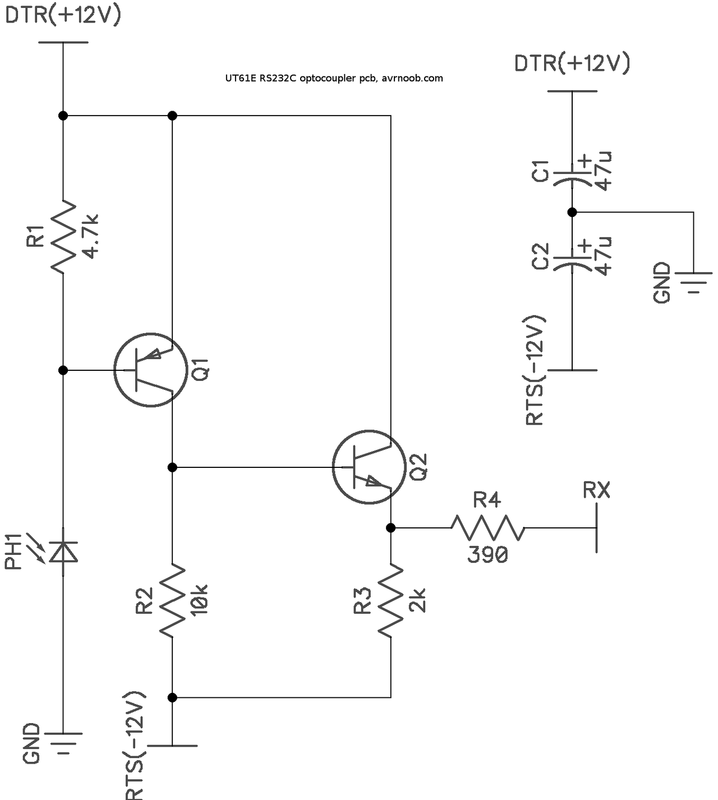 Just a question: in your circuit, the value for R3 seem too low. Maybe R3=4.7 k? There is no need to rework the cable. 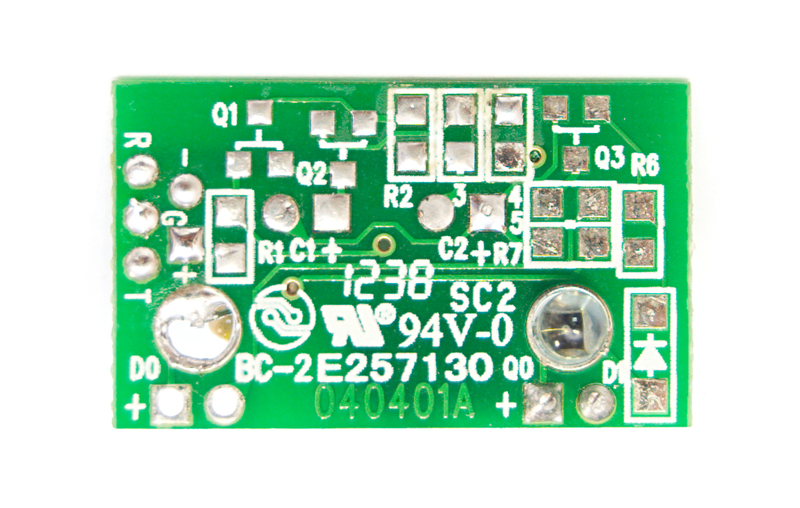 Connect RTS to ground(Pin 5 and Pin 7), DTR to 5V or 3,3V and invert the output with 74hc14 and you have TTL output. 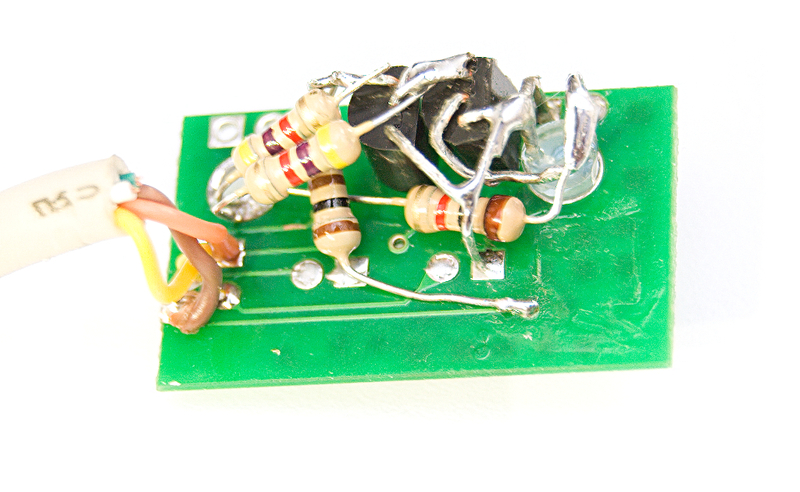 This will work at 5V and 3.3V. 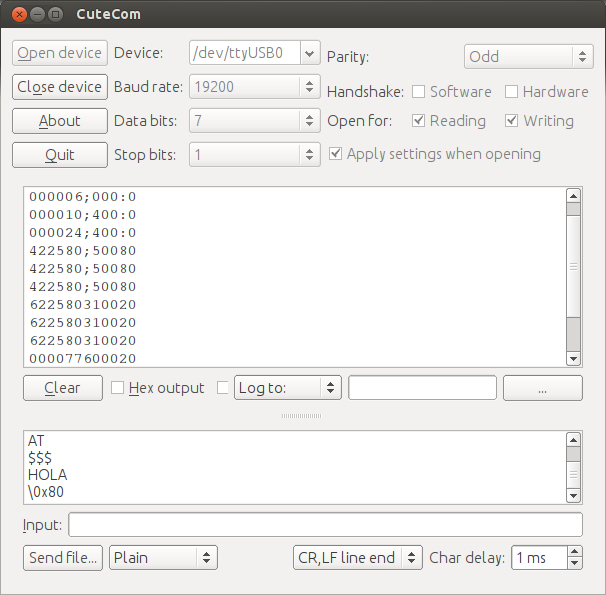 I am going to add bluetooth module to Uni-T UT61E to connect it to PC to virtual RS-232. I guess to install HM-10 bluetooth module due to low consumption, it is possible to supplay it from internal battery and it can be located internally (I am not sure does it have SPP and does it have to have it). Others need additional battery. Is it good idea? So, we do not need optical isolation with bluetooth module due to we will have bluetooth isolation. Can anybody say is it possible to connect bluetooth module to RX by other way? Please point the place on the ut61e diagram where in is possible to get RX signal to HM-10 bluetooth module. 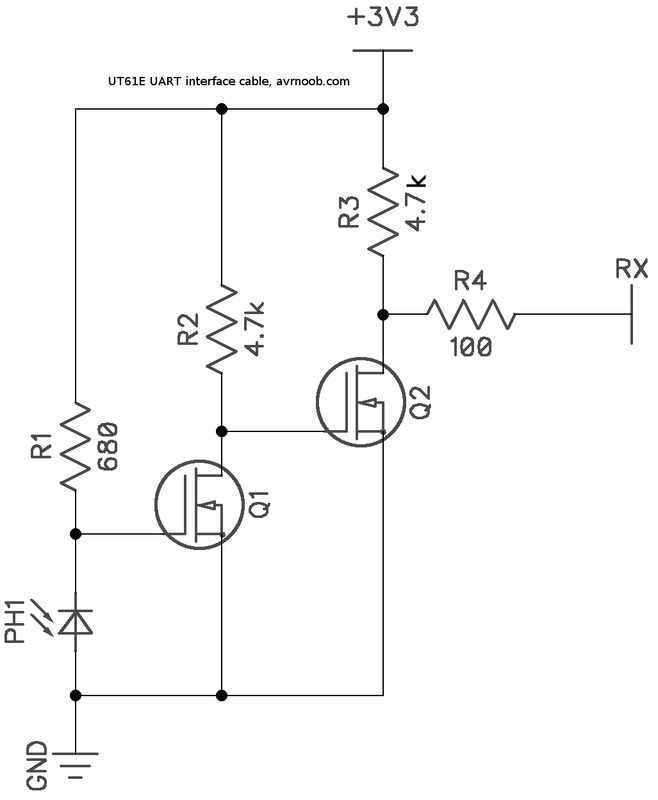 Or we need transistor invertor due to UT61E sends inverted serial signal to its IR led? You need to find a pad where power is available only when multimeter is turned on. 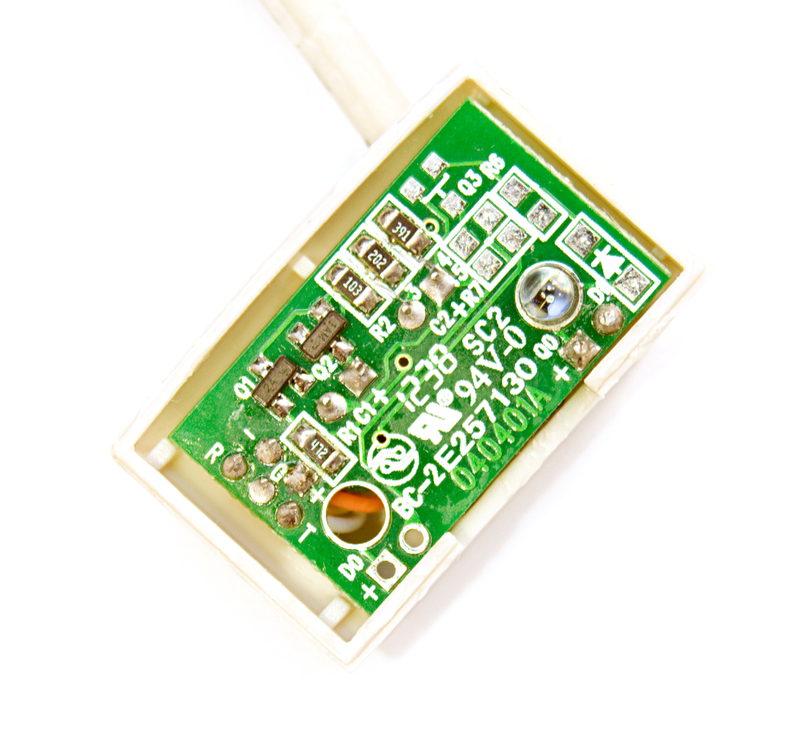 If you connect bluetooth module directly to battery it will drain it even when multimeter is turned off. 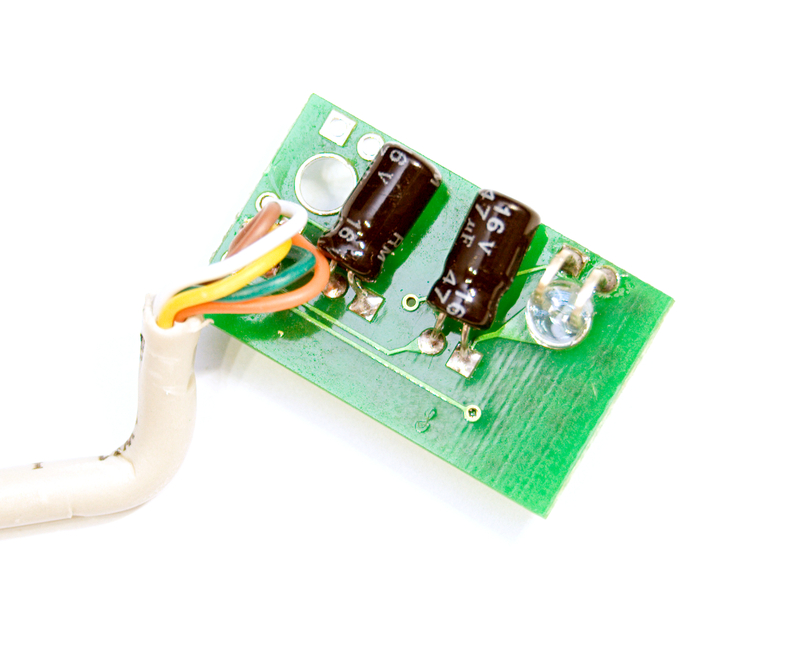 Also as you said, you need an invertor if you want to connect to ir led. 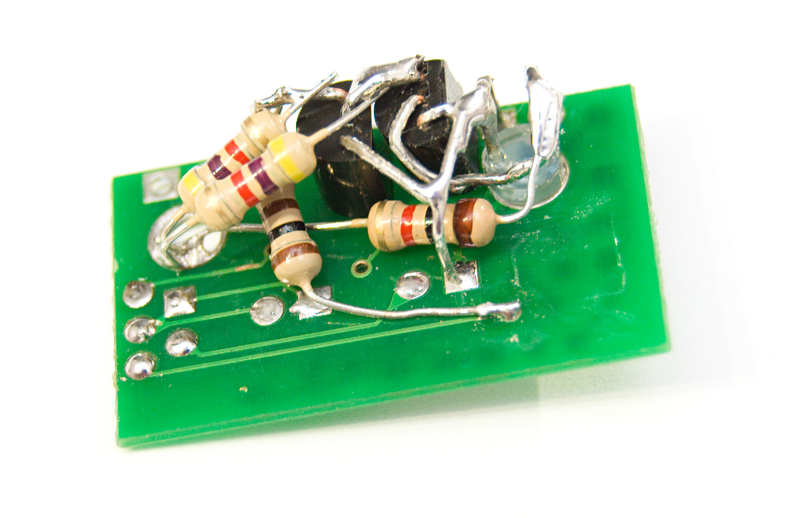 I have an idea to connect BT module to pin 123 directly (see attached picture, point A) thru inverter (part of diagram - pic.2) with n-channel mosfet 2N7000. Спасибо за данную статью, очень помог! Могу отчитаться, работает на win 10 в родном приложении версии 4.01, без каких либо изменений в битности com порта. 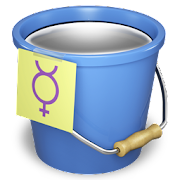 А вот на версии 2.0 (с офсайта, якобы последняя) программа вылетает на первой же секунде с ошибкой, хотя за эту секунду успевает показать правильные показания с мультиметра. Да, спасибо большое за статью! 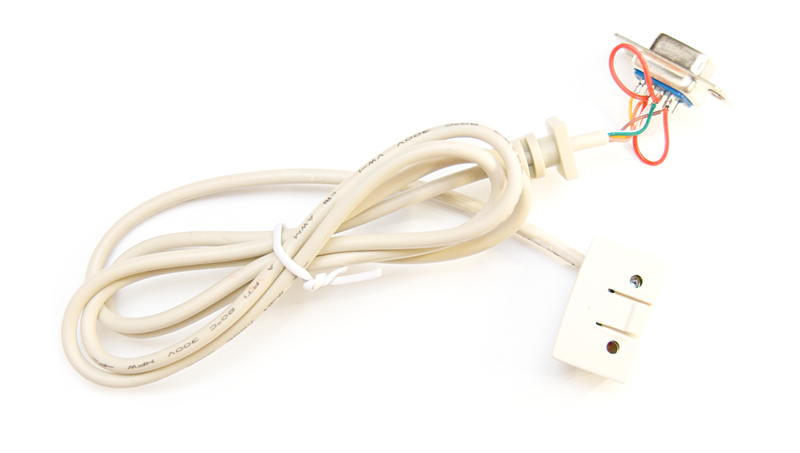 No, this cable as it is would not work with converters which not supply proper levels of +/-12v. That is why I've made this mod :) You can follow this article and use any TTL USB to Serial converter. Very great effort indeed. New cable needs only 3 wires: +3.3V, GND and RX, Cutting the rest. And well this is how DE-9 was wired. RX you means PC side RX pin.The whole thing looks pretty perfect. Thanks for the post.